Shootings killed three people and wounded seven since Saturday, police said. CHICAGO — Shootings killed three people and wounded seven since Saturday, police said. • At 2:35 a.m. Sunday, two men were killed in a shooting in Austin. • At 8:36 p.m. Saturday, a 17-year-old was shot dead in Roseland. • At 3:10 a.m. Sunday, a 45-year-old man was shot in Roseland, police said. The man was in the 100 block of West 95th Street, arguing with someone in the street, when a man got out of a car and fired shots. The victim was hit in his right side and taken to Stroger Hospital, where his condition was not available but he was listed as "stable," police said. • At 1:10 a.m., a 17-year-old was shot in North Lawndale, police said. The teen was standing on the sidewalk in the 1200 block of South Lawndale Avenue when a white SUV pulled up and someone in a gray hooded sweatshirt got out and fired shots. The teen was hit in his right leg and taken to Mount Sinai Hospital, where his condition was not available but he was listed as "stable," police said. The teen was a documented gang member, a police source said. 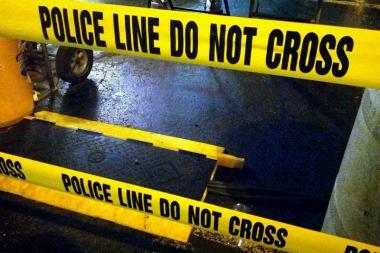 • At 12:10 a.m., a 20-year-old man was shot in Washington Heights, police said. The man was in the 8900 block of South Ashland Avenue when he started arguing with someone. The man got into a car and started driving away when the person he'd been arguing with fired shots. The man was hit in his right leg and taken to Advocate Christ Medical Center in fair condition, police said. The man was a documented gang member, a police source said. • At 10:45 p.m. Saturday, a 28-year-old man was shot near the border of Englewood and Back of the Yards, police said. The man was in the 5500 block of South Throop Street when he was shot multiple times. The man took himself to University of Chicago Medical Center in critical condition, police said. The victim and witnesses were uncooperative with investigators, police said, and the circumstances of the shooting were unknown. • At 10:30 p.m., a 35-year-old man was shot in Auburn Gresham, police said. the man was in an alley in the 8100 block of South Paulina Street when someone walked up to him and fired shots. The man was hit in his right arm and taken to Advocate Christ Medical Center in good condition, police said. • At 8:07 p.m., a 26-year-old man was shot in West Pullman, police said. The man was in the 12000 block of South Lafayette Avenue when a blue Chevrolet Traverse pulled up in front of him and someone in the car fired shots at the man. The man was hit in his buttocks and taken to Advocate Christ Medical Center, where his condition was not available but he was listed as "stable," police said. • At 4:39 p.m., a 24-year-old man was shot in Woodlawn, police said. The man was crossing the street in the 800 block of East 63rd Street when he heard shots. He ran into an alley and realized he'd been hit. The man was shot in his upper right leg and taken to Northwestern Hospital in fair condition, police said. No one was in custody in these shootings.